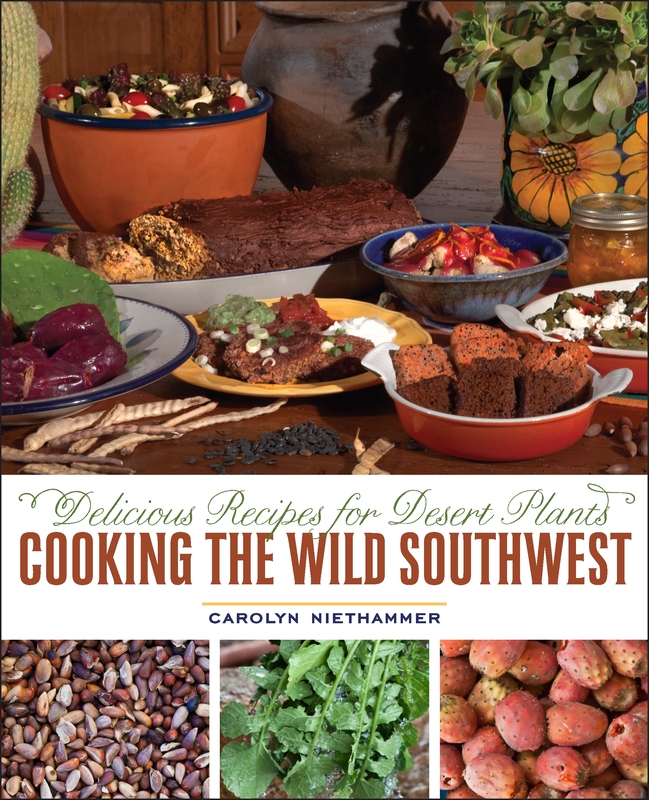 If you live in the Southwest and enjoy foraging for edible wild plants in the deserts or mountains, my newest book, Cooking the Wild Southwest, Delicious Recipes for Desert Plants was written for you. I discuss 23 easily recognized plants and tell you where to find them, how to harvest and store them, and give you recipes for incorporating them into tasty dishes that will please your family and friends. For a light meal, try French Bean and Cholla Bud Salad or Quinoa Pilaf with Pinon Nuts and Cranberries. Meat lovers will enjoy Saguaro Barbecue Sauce for Ribs and Cheri’s Mesquite Brisket. Got a sweet tooth? How about Mesquite Pumpkin Pudding or Elderflower Citrus Cake or Prickly Pear Plum Ice Cream? If you have gathered plants already, you are ready to go. But if not, Martha Ames Burgess can sell you what you need through her company Flor de Mayo. She sells her foods and much more at farmers markets and will be the featured vendor at the new Saturday farmer’s market at Maynard’s in Tucson. Hey, nice TV segment on prickly pear cooking the other day. Your readers can view it here. Check it out, foodies.